Dedicated to the art of aromatherapy for more than 40 years, Decléor provides more than luxurious skincare: it’s a brand that promotes complete wellbeing. Taking the best that nature has to offer, Decléor expertly blends concentrates to deliver optimally effective skincare for every skin type, every age, and every woman. Their pioneering approach to pure ingredients is combined with the science of efficacy and unique sensorial experiences, ensuring that they deliver healthy radiance to skin with every product. 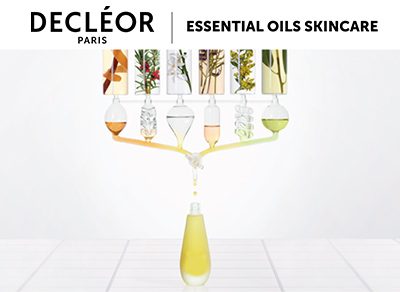 As both a trusted innovator and a nature enthusiast, Decléor is the master of skincare.